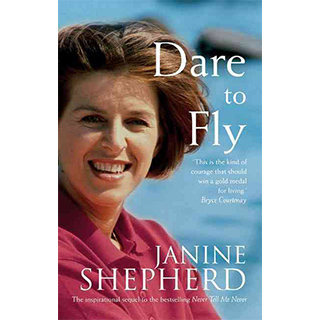 Janine went on to succeed not only as a professional pilot but also to attain her University degree, raise three children and author several best-selling books. 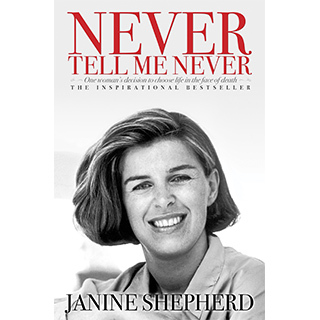 Her remarkable life story ultimately captured the interest of a prominent film company, which produced the feature-length movie, aptly titled Never Tell Me Never. 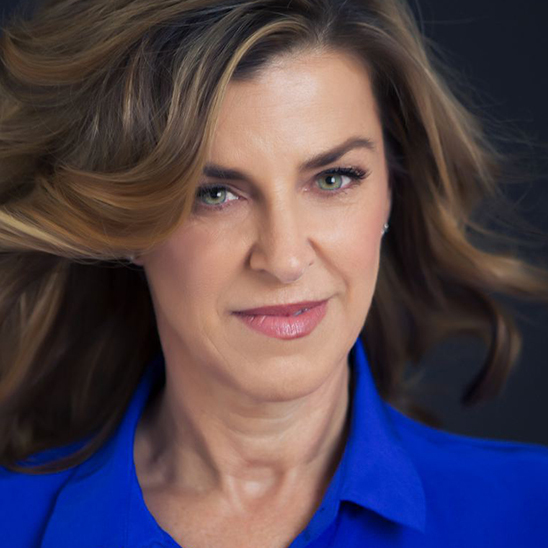 She was recently named as an “Architect of Change” in Maria Shriver’s “Sunday Paper”. Her latest book Defiant: A Memoir was published for worldwide distribution by SoundsTrue®. 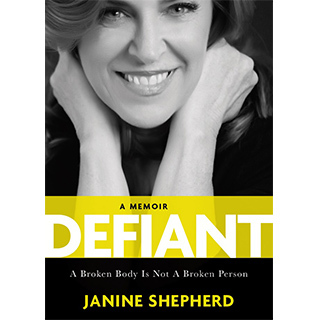 In Janine’s signature keynote presentation she will not only leave you awed, humbled, and uplifted, but will cause you to think differently how you live your own life. Janine is a gifted storyteller who uses her wit, humor, and impeccable timing to engage the audience. 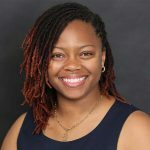 As she shares her journey in an expansive, inspiring and universal way she will touch every heart in the room and invite you to dream and reach beyond your preconceived ideas of what is possible. 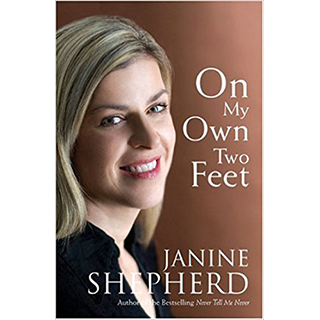 Janine will take you on an amazing journey with so many twists and turns that it mirrors the road you travel in your own life every single day. This is a story that takes you from the pinnacle of elite athletics competition to the pain and fear of being wheelchair-bound and facing the shattering reality of life-threatening and permanent injury; from the exhilaration of flight to the struggle of taking one difficult step at a time on a long road to recovery which continues to this day. You will leave with the conviction to change your attitude and find power within to perform to the best of your abilities. We often define ourselves by things that are outside of us…our jobs, our relationships, our business, or the roles we play in life. When those are lost everything we’ve known and believed in is challenged. 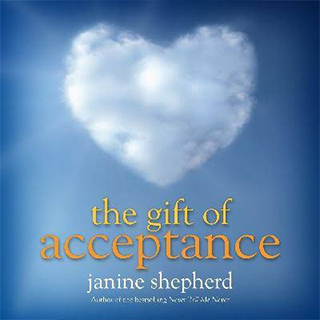 Janine Shepherd believes that we all possess a power inside that allows us to thrive in the face of insurmountable obstacles and challenges. That power is the Defiant Human Spirit. It is an eternal flame that is never extinguished, even if you fail to see it. Every decision you make in life will either ignite the flame or dampen it. Your choices determine the strength of that flame. All you have to do is recognize it in yourself, and then you see it in everyone. 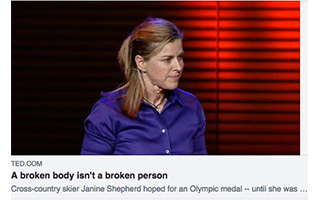 As a spinal patient and partial paraplegic, Janine has a unique understanding and perspective on injury and trauma. Janine shares her personal experience of being a patient and living with a disability. Janine has witnessed first-hand the teamwork that has gone into her recovery, from the surgeons who operated on her, to the nursing staff and imaging professionals who cared to her, and the family that supported her. 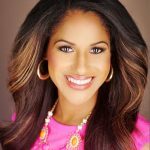 She shares her health and fitness philosophy and the tools she uses to maintain wellness. 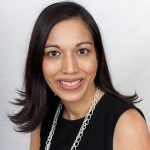 Janine’s presentation gives insight to all those working in the healthcare industry as they see how their role in caring for patients can literally change a life. Obstacles and challenges will keep repeating in life until we learn the lesson. The moment you choose to see obstacles as opportunities, you open your mind to a new way of seeing. Thank you to #nhia2019 for the pleasure of opening your annual conference. Also, thank you to @Brightree for sponsoring my session and gifting my memoir, Defiant, to the attendees. The Defiant Human Spirit is not something you have, rather, it is ‘who’ you are at the deepest level. Adversity prepares the ordinary for the extraordinary. #tbt I am so grateful for the opportunity to travel the world speaking to audiences from many countries, and cultures.